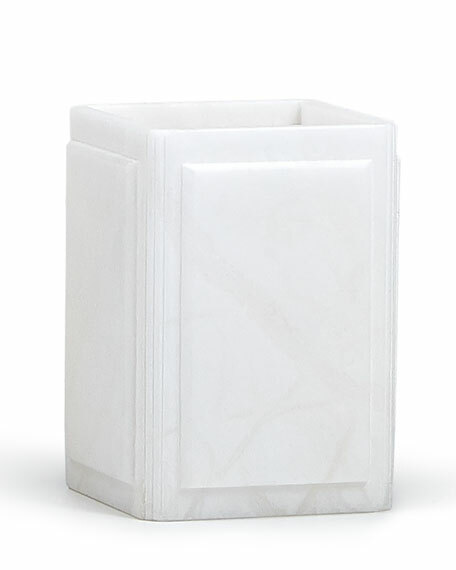 Alabaster wastebasket has chiseled panels and fluted edges. 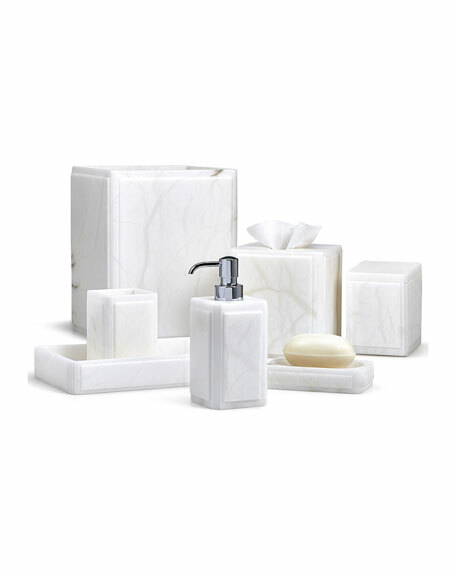 Natural marbling makes each unique. 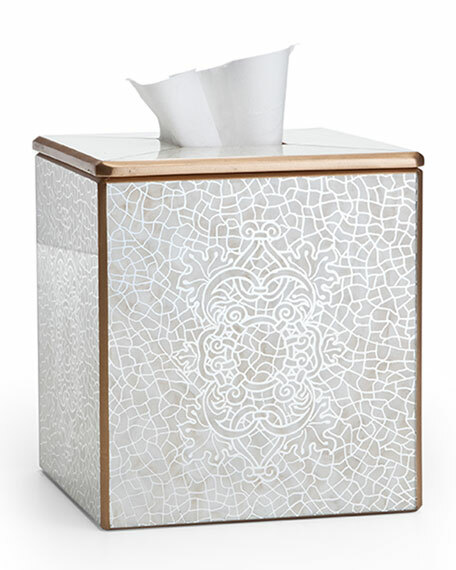 Designed by Justin Van Breda for Labrazel. 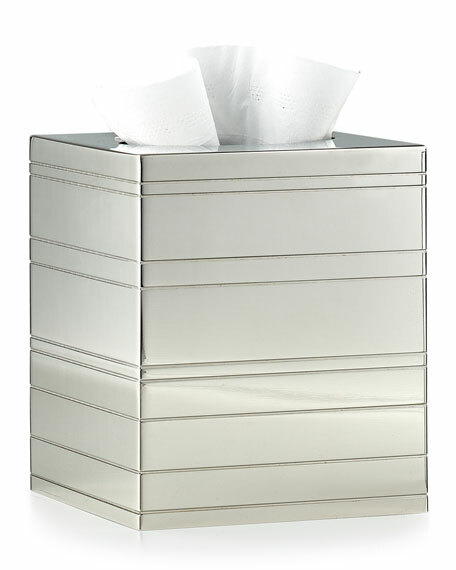 Alabaster tissue box cover has chiseled panels and fluted edges. 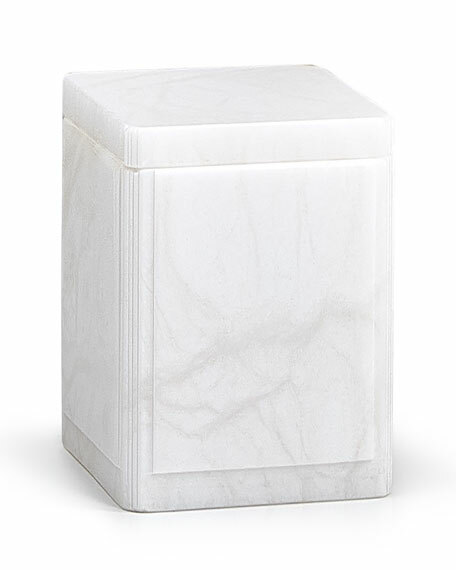 Alabaster canister has chiseled panels and fluted edges. 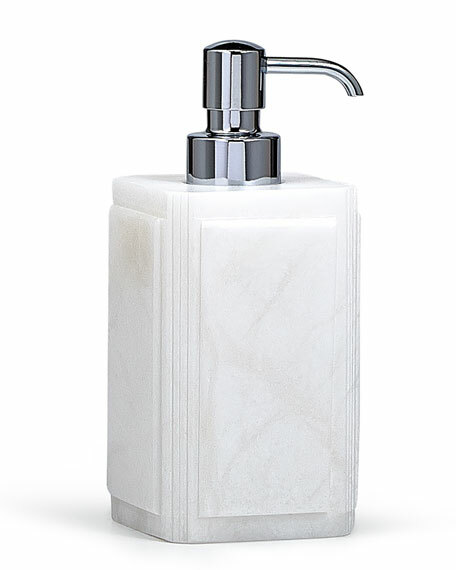 Alabaster pump dispenser has chiseled panels and fluted edges. 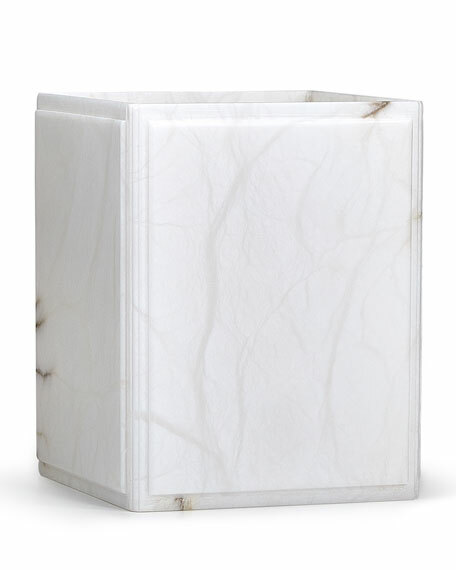 Alabaster brush holder has chiseled panels and fluted edges. 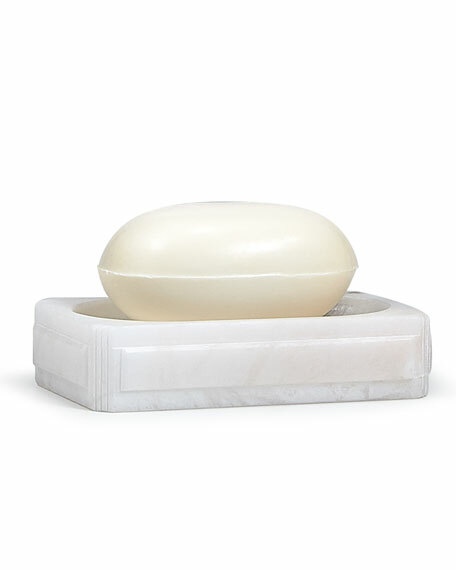 Alabaster soap dish has chiseled sides and fluted edges. 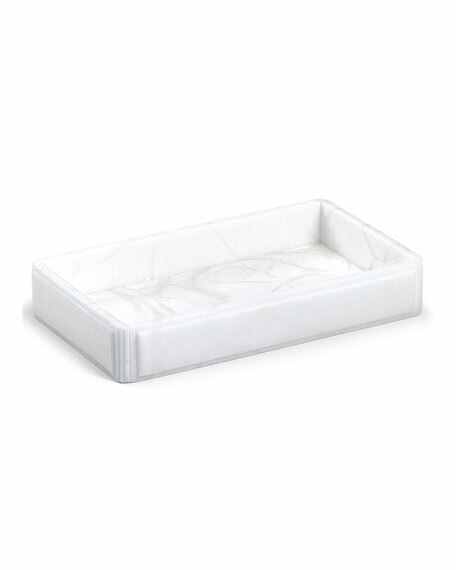 5.5"L x 4"W x 1.25"T.
Alabaster vanity tray has chiseled sides and fluted edges. 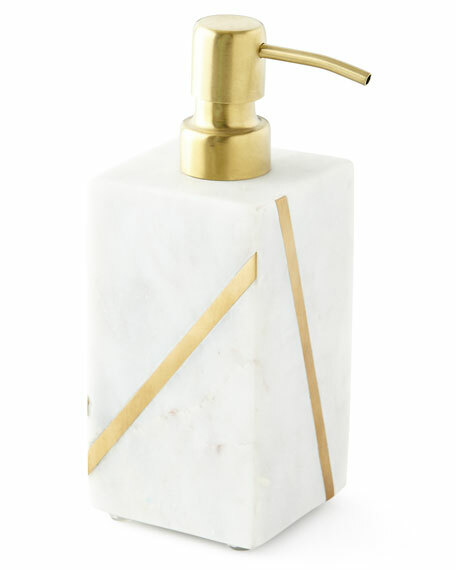 9.5"L x 5.5"W x 1.25"T.
Marble pump dispenser with brass inlay. 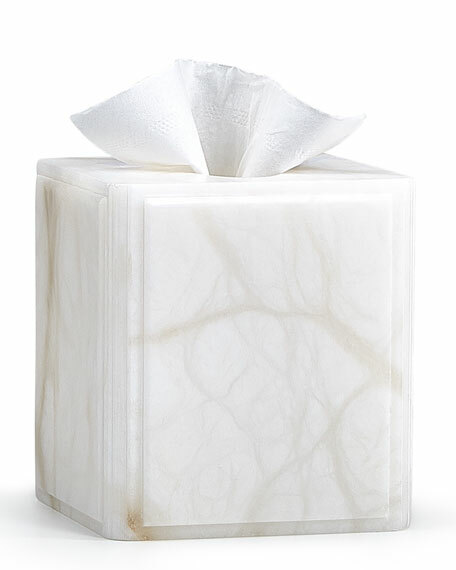 2.75"Sq. 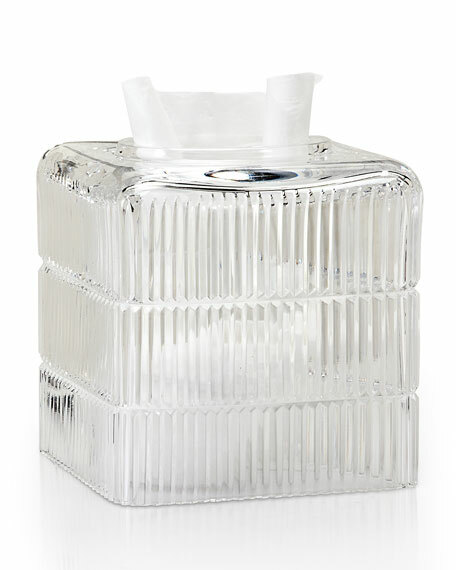 x 7"T. Imported.